The Freedom From Religion Foundation has sent the Kentucky governor a missive chiding him for imposing his biblical (im)morality on his state. The freedom of conscience enshrined in the First Amendment and the Kentucky Constitution means that the government has no business telling citizens which god — if any — to believe in, or which holy book to read and propagate. FFRF asks Bevin to imagine the uproar had he encouraged the schoolchildren of Kentucky to bring their Qurans to school and tell everyone all about Allah and the Prophet Muhammad. 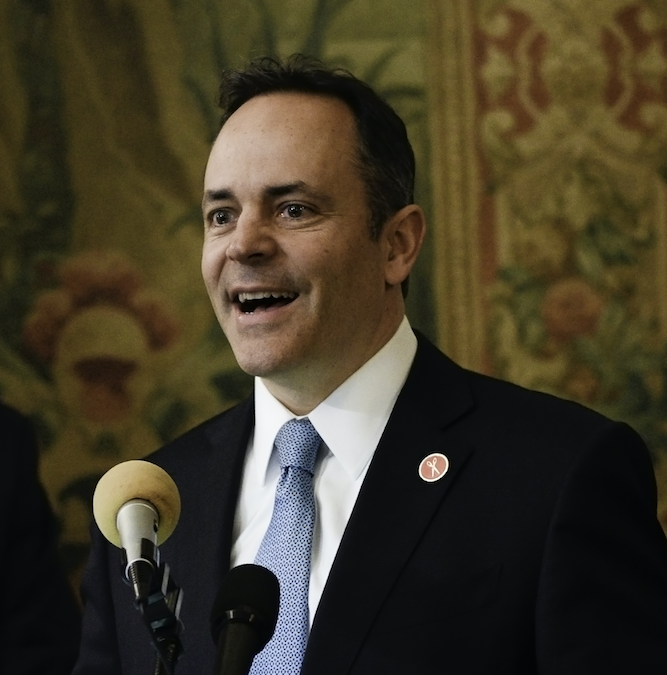 Contrary to Bevin’s notions, the United States of America was actually founded on the radical new ideas of the Enlightenment, not the antiquated orthodoxy of the bible. “Our Founders rejected divine tyranny and instead set out on a grand experiment in self-government and self-determination that necessarily required the severance of the church from the state,” Barker and Gaylor declare. Bevin also misinforms citizens about “how our Founding Fathers used biblical principles to draft the Declaration of Independence, the Constitution, [and] the Bill of Rights.” Our nation is founded not on Christian doctrine, but on our secular and godless Constitution whose only references to religion are exclusionary. The Declaration of Independence is based on the idea that “governments are instituted among men, deriving their just powers from the consent of the governed” and does not contain a single mention of “God,” “Jesus,” or “biblical principles” anywhere. And the myriad ways in which the principles of fairness, equal justice, and the rule of law encapsulated in our Bill of Rights contradict “biblical principles” are far too numerous to list here. The Freedom From Religion Foundation has more than 32,000 members and several chapters around the country, including members in Kentucky and a Kentucky chapter. FFRF defends the constitutional separation between state and church and educates the public on matters relating to nontheism.